Description: Green Turtle Bay Resort is a business categorized under resorts, which is part of the larger category hotels & motels. 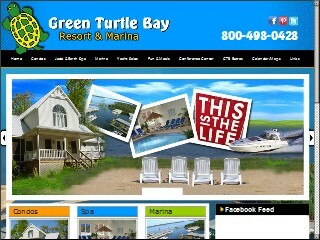 Green Turtle Bay Resort is located at the address 239 Jetty Dr in Grand Rivers, Kentucky 42045-0000. The Owner is William Gary Iii who can be contacted at (270)362-8364. Location & access map for "Green Turtle Bay Resort"